Update: The next fitCal night run has been announced! 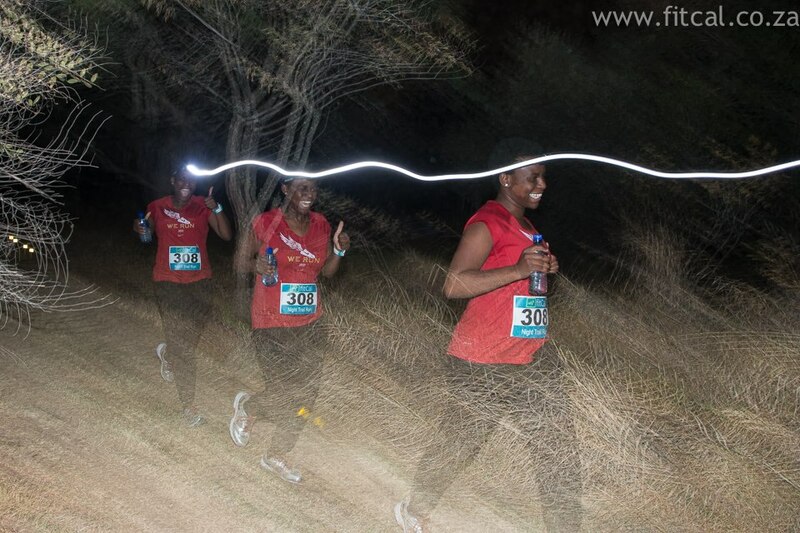 On 18th May, fitCal hosted their 3rd Night Trail Race at Johannesburg Country Club in Woodmead. Trail runners gathered on this crisp evening for yet another evening of adventure in the dark. 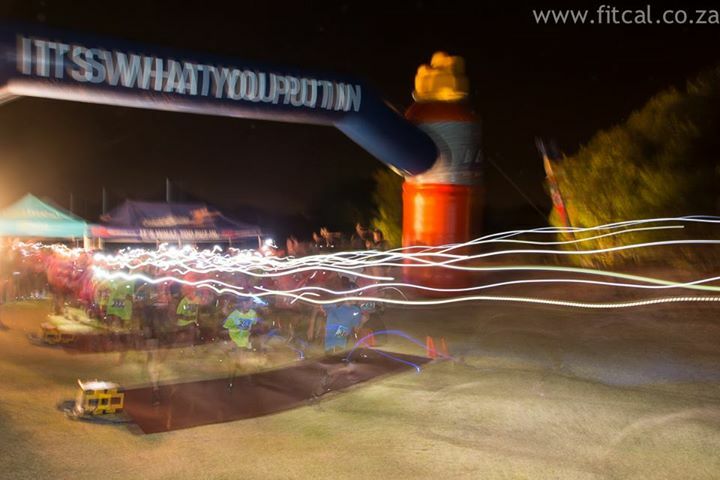 Traditionally hosted on a monday, the fitCal Night Trail Race offers a fast course which should not be underestimated. The 10km course runs the perimeter of of the Country Club through forest, bushy terrain, gras and a strong 133m ascent all the way to the finish. A few changes were made to the course making it easier to navigate with improved markings and longer stretches through the forest. Race favourites were there to claim their stake in the generous prize money and athletes received a funky green winter buff and water bottle at the finish. 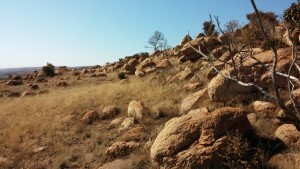 New addition to the race was timing and results by ChampionChip Africa, a first to many Night Races in Johannesburg. In the 5km another defending champion, young Daniel Ellis secured 1st place in 20:32, and Claudia Hazelwood completed her trio of wins at the fitCal series in 25:29. This race is always a pleasure to attend as its well organised and offer a great opportunity to escape the weekly city life. And when a race director runs his own race, you can be sure its a brand to be trusted!